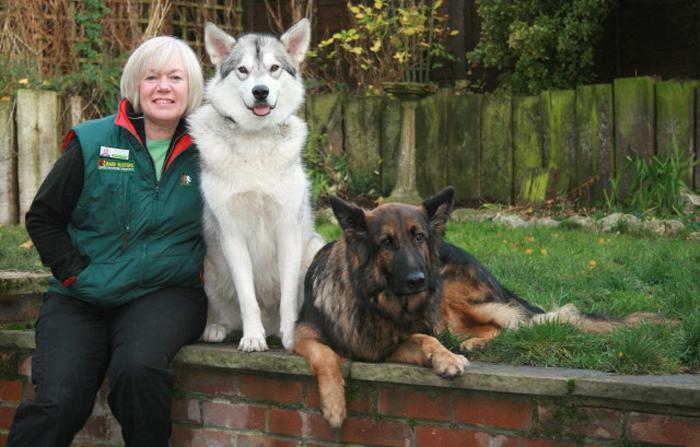 I'm Tina Edwards, behaviour expert for Bark Busters Home Dog Training Sevenoaks. Once upon a time there was a frustrated corporate director with no quality of life. Then……sorry, no fairy god mother, but I found Bark Busters Home Dog Training Sevenoaks and following completion of my training, my life changed to one full of quality, enjoyment and satisfaction. For many years I had the daily slog commuting to London, with ever increasing time pressures and traffic delays. I worked in the insurance industry for over 30 years and decided to give myself the opportunity to work with animals; a long term ambition. I found Bark Busters Sevenoaks through a friend who was searching for help with her “teenage hooligan” dog and thought that their methods of helping dogs and owners just made perfect sense. Having always loved dogs from my first reading of White Fang by Jack London, as a 12 year old, I developed a keen interest in their interaction both with humans and others of their own species. My first dog was a puppy Border Collie cross, a real character; unfortunately I didn’t have the knowledge that I now have and thinking back I could have done a lot more to ensure that he was a better adjusted and calm member of my family. He did live until he was 17 years old though, so not all was bad! Since then I have only been without a dogs in my life for 6 months; all subsequent companions have been rescues, one arriving on a cold New Year’s day from across the road! My neighbour who rescues animals could not cope with her. My current dogs are a Malamute cross Husky and a Romanian rescue both adopted from dog owners. They are gorgeous and have been challenging, both had serious issues that I have helped them to overcome and I enjoy seeing their personalities and way they interact and love life, every day. Life can sometimes be pretty hectic rehabilitating dogs. Training my young dog takes patience and commitment, but is so rewarding. Chewing, stealing, guarding stolen items, often have a “mad half hour” usually when it’s time for your favourite TV programme! Teaching a dog where he’s supposed to toilet, not tear his bed to pieces not to steal off counters, to come back when called when it’s so much more fun to play with other dogs, has been interesting, but being consistent and calm gives the results. Not only have I experienced many forms of behaviour problems with customer's dogs, but over the years, helping my own rescue dogs through their own problems from aggression to leadwork and recall is very rewarding. 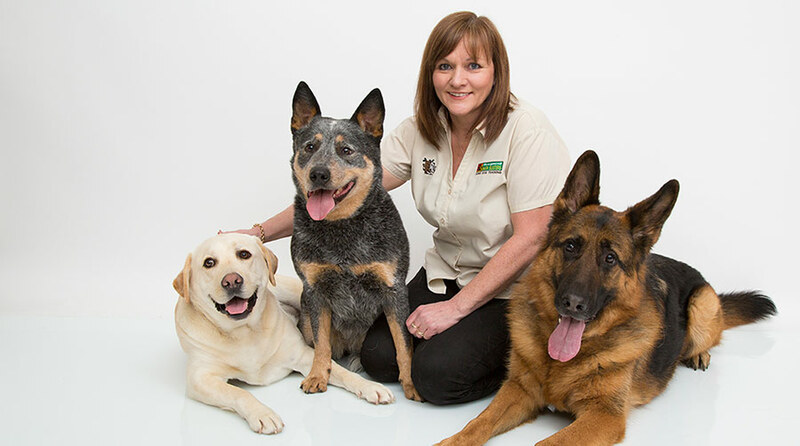 Kind, patient, calm methods are the answer to behavioural problems and that’s just what the Bark Busters Home Dog Training system provides. Dogs of any age or breed can be helped, so give me a call or email me to find out more about how I can help you with your dog. Any problem, any breed, any age; with help, you too can enjoy a happy relaxed relationship with your dog, so do give me a call.